Waitrose is renowned for its commitment to good food and good service, and for the wide choice, quality and freshness of its products. As part of that commitment, in 2010 the supermarket appointed Heston as an ambassador for the chain. As well as appearing in adverts for the brand and championing particular ingredients, Heston was commissioned to produce a range that utilised his skilful, scientific and inventive approach to cooking to create flavoursome and innovative versions of popular products, as well as introducing brand-new items like cauliflower macaroni cheese and malted milk and marmalade ice cream. 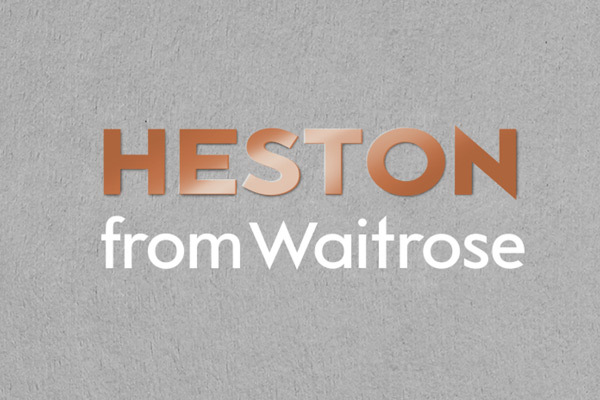 Since its inception, the ‘Heston from Waitrose’ brand has grown to include Lapsang Souchong Tea Smoked Salmon, Bloody Mary Prawn Cocktail, Salt Beef Sandwich, Chicken Liver Parfait, Brioche Burger Buns and Popping Candy, not forgetting seasonal specialities like his celebrated Hidden Orange Christmas Pudding, Persian Pudding and The Eggstraordinary Dippy Easter Egg.